Staff Sgt. Fadi Chreim, a 386th Expeditionary Logistics Readiness Squadron vehicle operations dispatch chief, poses for a photo April 11 at an undisclosed location in Southwest Asia. 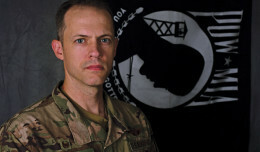 Chreim joined the Air Force Reserve in 2012 as appreciation for the opportunities the U.S. provided him as an immigrant. SOUTHWEST ASIA — Air Force Staff Sgt. Fadi Chreim grew up in Lebanon, a small, picturesque country with nearly 200 miles of Mediterranean coastline to the west. Syria borders the country to the north and east, and Israel borders it to the south. Lebanon has a rich history, with evidence of settlements there dated to before 5,000 B.C. Throughout its history, Lebanon has experienced many conflicts, resulting in a unique culture that borrows from the Persians, Greeks, Romans and others. During the 2006 Lebanon War, Hezbollah, a militant group and political party based in Lebanon, captured two Israeli soldiers, resulting in Israel launching airstrikes on Lebanon. The intense fighting resulted in many deaths on both sides. However, it was the first war his wife, Sandra, had experienced. She was born a U.S. citizen to Lebanese parents and spent time in both countries growing up. “She convinced me to go to the U.S. embassy and apply for an immigration visa to come to the U.S. and give it a chance,” he said. Unfortunately, the embassy was closed, so he met with a counselor who gave him an immigration visa. He still had another obstacle to face. 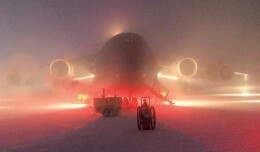 The airport was closed. He’d have to find another way of getting to the U.S.
Foreign governments from several countries, including the U.S., worked to evacuate the country during the conflict. Sailors and Marines from the Navy’s Iwo Jima Expeditionary Strike Group helped transport U.S. citizens and family members to Cyprus. Chreim and his wife were among those transported to the small island. Their trip to the U.S. took ten days as they went from Cyprus to the Czech Republic to New York and, finally, Florida, Chreim said. They arrived in their new country with the clothes on their backs, a credit card, a thousand dollars in cash and not much else. He knew he had to find a job quickly. Chreim learned by trial and error how life worked in the U.S., including how to apply for college, rent a house and apply for jobs. After nearly five months of searching for work, he eventually landed a job at a Walgreen’s pharmacy. He walked into the store and asked the manager for a job doing whatever was needed, whether it be stocking shelves or running the cash register. The manager, however, saw greater potential in Chreim after looking at his resume and decided to offer him a job as an assistant store manager. He and his wife could now rent a house, lease a car and begin building a life in the U.S.
A couple years later, Sandra gave birth to their first child, a daughter. It was at this moment that Chreim realized he had a greater purpose to his life, and he looked for better opportunities to provide for his family. He decided he would attend college; however, since his earlier schooling was in Lebanon, he would first need to attend one year of English classes. Around this time, Sandra gave birth to their second child, a son. She stayed at home to take care of the newborn while Chreim continued to work and go to school. Chreim began settling into his new life as an American, especially after becoming a naturalized citizen in 2009; however, he still sensed something was missing. He felt an intense need to give back to a country that had provided him the opportunity to go to college and build a career. It was at this point he decided to join the military. 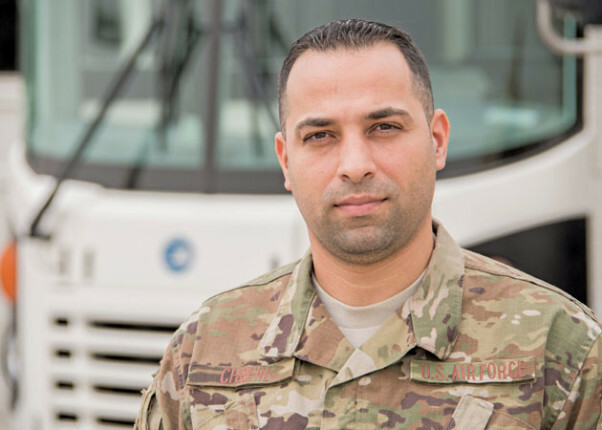 At first, he wanted to join the National Guard, but his wife was worried about him returning as a soldier to the wars similar to those they left behind when they fled Lebanon. Still, Chreim had a deep desire to serve his country. He and his wife decided the Air Force Reserve would be the most beneficial choice for their family. He took time off work and school to attend Air Force basic training, and decided shortly after graduation that he wanted to become an officer. But to become an officer, he’d first have to finish college. He started taking more classes and pushed himself even harder. It paid off. He graduated in 2016 from Florida Atlantic University. 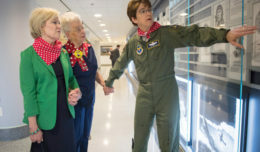 That same year, he applied for the Deserving Airman Commissioning Program, which gives enlisted service members the opportunity to commission as officers. He is now deployed from Homestead Air Reserve Base, Florida, to the 386th Air Expeditionary Wing, where he is responsible for the logistics of moving people around base. On his desk sits a stack of vocabulary flashcards and an AFOQT preparation book. Chreim studies this material as much as possible during the deployment and hopes to take the test again next month and reapply for the program. And giving it his best shot is what Chreim’s experience in the U.S. has been about from the start. He believes that everyone gets the same opportunity, and it comes down to what a person does with these opportunities that truly matters.